Ok. Ok. It's probably way too early to be discussing baby names. I mean, we don't even know the sexes of the twins yet. That's not going to stop us from preparing. We've talked about girl names more than boy names. Just because we've researched boy names before. My son Jason was, of course, named after me. Just different middle names. Isaiah was name after my two favorite bible verses. Isaiah 40:31 & Luke 4:8. A lot of thought went into both. In the end they had to have meaning. The names of the twins will as well. For a girl, Karyn really wants her and her mom's middle name in there somewhere. Lynn. I like it as a middle name. Not so much as a first name. She likes Victoria as a first name. 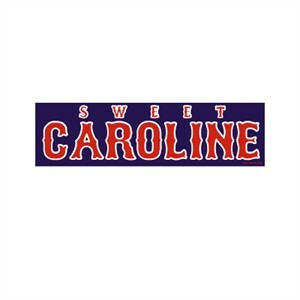 I like Caroline. Our most recent couples getaway was in Charleston, South Carolina. The twins may not have been conceived there but it was a very special trip for us. We both like Victoria Caroline. It sounds pleasant. It rolls off the tongue. Then Lynn would be missing. If we have two girls, the process gets a little easier. We could name one Victoria Caroline and one could keep the family name going. Kaye is my mom's & sister's middle name. They may fight someone over this name not being used somewhere. If we were to have a boy, we would almost certainly put her dad's name in there somewhere. Thomas is a good name. It would most likely be a middle name if we did it. Her dad and brother share that name already. Things could get real confusing, real fast. Allan is her dad's middle name so we could always use that one instead. I'm 50/50 on using my middle name for my son. It's Howard. It's a family name. It's my Grandmother's maiden name, my dad's middle name, and my middle name. I'm not a huge fan of the name but it is very important to me. I would want it to be a middle name. At least my child wouldn't have to grow up in the shadow of the movie "Howard The Duck". Talk about bully material. I did, however, learn to do the Howard the Duck dance. Chicks dig the dance. You have to remember when you name your child (children), they will carry these names with them for the rest of their lives. Unless of course they become rich and famous and decide to change it to something like "Ocho Cinco". If my child were to do that, I would drive all the way across the country if needed. Just to slap them upside the head. I hope to raise my children with a sense of family, purpose, and direction. I don't think changing your name to something flashy to get attention demonstrates any of those qualities. We have plenty of time to discuss and decide. Besides, Karyn will be so "doped up" at the time of delivery, I could name one of the twins "Bartholomew Spam Smith" and she probably wouldn't notice until much later. This step in the process shows just how much responsibility goes into parenting. Karyn had said that she likes the name Lexus. Like the car. I don't know any upstanding members of society named Lexus. I can imagine a girl never getting daddy's approval, dancing for dollars. We want to avoid that at all cost. No car names for my little girl. She already has daddy's approval and mommy's ability to completely occupy my thoughts. After all of this consideration, we better have at least one girl. Boy names are becoming harder and harder to come up with. Maybe we could name one "Dodge Hemi". I don't think he would ever get picked on. He may, however, leak oil from time to time. Man, this daddy stuff sure is fun. Love Victoria Caroline! The twin could be Kayelynn (just an idea)! It's an honor just to know you are thinking of your family when picking out names! Like the names..funny thing is I saw the name "Karalyn" on tv the other day and really liked it with that spelling. You could spell it "Karalynn" to have part of Karyn's name in there too. Praying for you all!